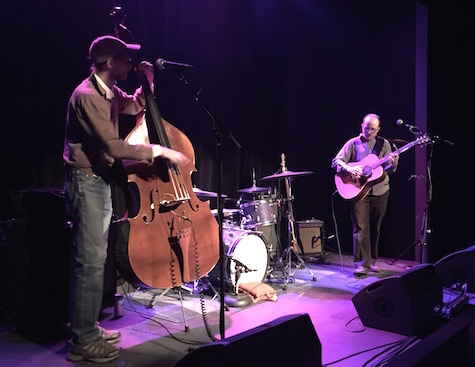 McCarthy Trenching at Reverb Lounge, Jan. 17, 2015. The band plays The Slowdown annual Shake Your Trunk sale Sunday afternoon. Slim pickins show-wise this weekend and this time of year. There’s not too many bands on the road this close to the holidays let alone routing through Omaha, and even the locals are setting down for a long winter’s nap (or at least prepping for the few “holiday” shows happening around or after Christmas). That said, there’s a hoot ‘n’ holler of a show tonight at The Waiting Room. Lincoln hay-rack-ride rock band FortyTwenty headlines a bill that also includes Omaha’s favorite outlaw country band, Filter Kings, and honky-tonk swingers The Willards. So dust off your cowboy boots (or leather jacket); this one starts at 9 p.m. and will run you $10. Sunday night The Slowdown is hosting its annual local artist trunk sale — we’re talking tons of made-local Christmas gift ideas along with performances by McCarthy Trenching, Dirt House and CJ Mills. The shop is open from 1 to 7 p.m. I’m not sure when the show starts, but it’s free. For more information and vendor list, go to the Slowdown listing. Can you believe those are the only shows featuring original music this weekend? Neither can I, so if I missed your gig put it in the comments section. Have a great weekend.